Diving is a chance to escape and find your peace and harmony. Diving is all about love: to yourself, to the sea, to nature. Diving is the fastest way to make a trip to another planet, without leaving the Earth. Diving is what will give you a chance to widen your horizons. Diving is a life changing experience for many people, why not for you? Diving is all about life. Diving is a whole life. Diving in the Red Sea Hurghada Egypt can be all of it at once at any time. Whole year long here is the right time for diving. I invite you to explore diving in the Red Sea together, no matter which level you are, we always will find for you the best dives and conditions to help you to fall in love with diving even more. The beauty of the Red Sea is unspeakable, everyone should visit this place to see it with their own eyes: the sun and water temperature make it possible whenever you want. • The Red Sea gets its name from a red algae. When this algae is in bloom, the water occasionally turns slightly red. • The length of the Red Sea is 2,250 km. The maximum depth of the Red Sea is 3040 meters. The maximum width of the Red Sea is 355 km. • The water temperature of the Red Sea is about 20 °C to 30 °C depending on the season and area. • The sea is known for its strong winds and unpredictable local currents. • The reefs of the Red Sea support more than 220 different species of hard and soft coral. • Corals provide the basis of an ecosystem that offers both food and shelter to more than 1,200 species of fish, almost a fifth of which are endemics, means found nowhere else on Earth. The Red Sea is definitely the place to be added to your bucket-list. 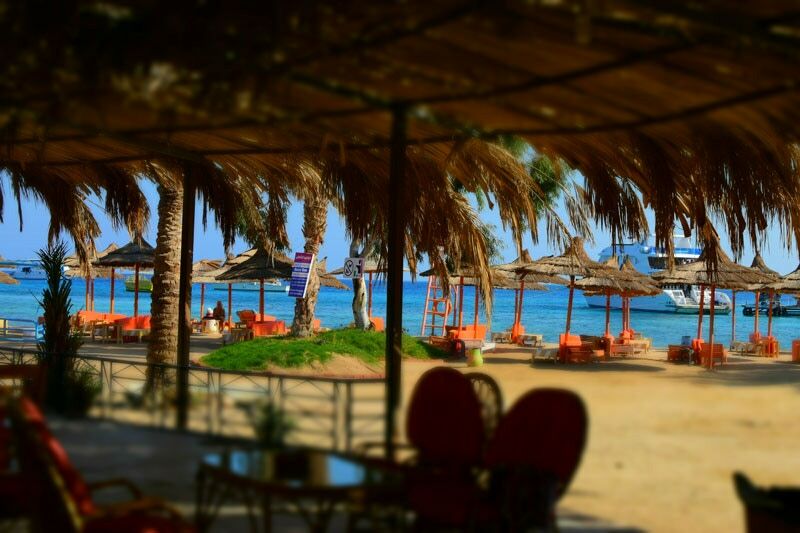 The Red Sea, Hurghada area is a perfect place for your diving adventure. Hurghada is located on the Egyptian mainland, some 65 km southwest of the southern tip of the Sinai Peninsula. 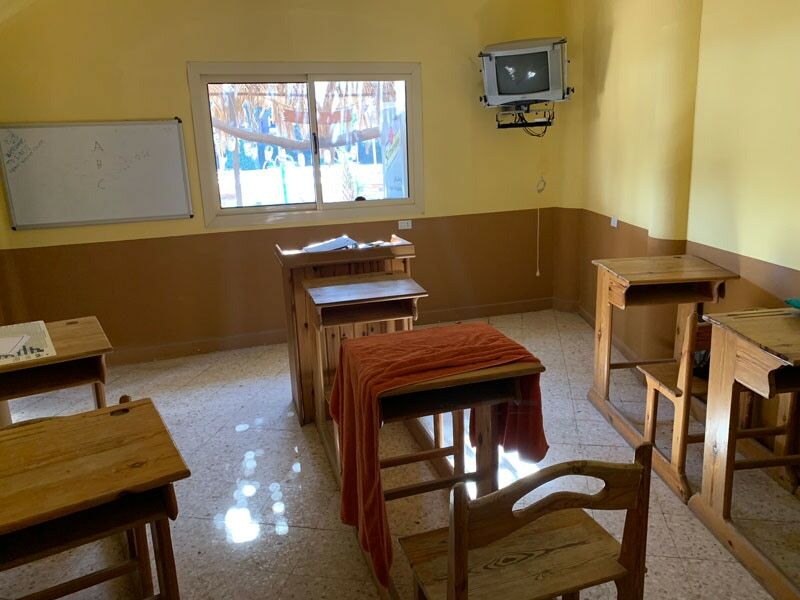 Such a position makes an ideal base for daily scuba diving trips in the Red Sea and it is also the main departure point for liveaboard trips to both the northern and southern sections of Egypt&apos;s Red Sea. • From July to September, it is the hottest month with a Water temperature between 28-30°C. • The coldest month is normally February with a water temperature of about 21°C. • From October to November, you can expect from 26°C to 27°C. • From March to June the water is warming up with temperatures ranging between 22°C to 26°C. You can expect very good visibility all year round. It usually ranges from 20 m to 30 m depending on the dive site. Sometimes you can have up to 60 meters, but keep in mind we are talking about nature, many things like current, tide, temperature, structure of the sea bed can affect visibility as well. Hurghada Egypt offers the biggest variety of dive sites easy to access in daily scuba diving trips in one area.There are over 40 dive sites to keep you busy and explore the beauty of the Red Sea, with different coral reef sites, coral gardens, coral walls and drop-offs representing the beauty of the Red Sea. There are also some local wrecks to explore such as El Mina, Balena wreck, Excalibur (Suzanna wreck), Hassaballa (also known as Mohamed Azabella). 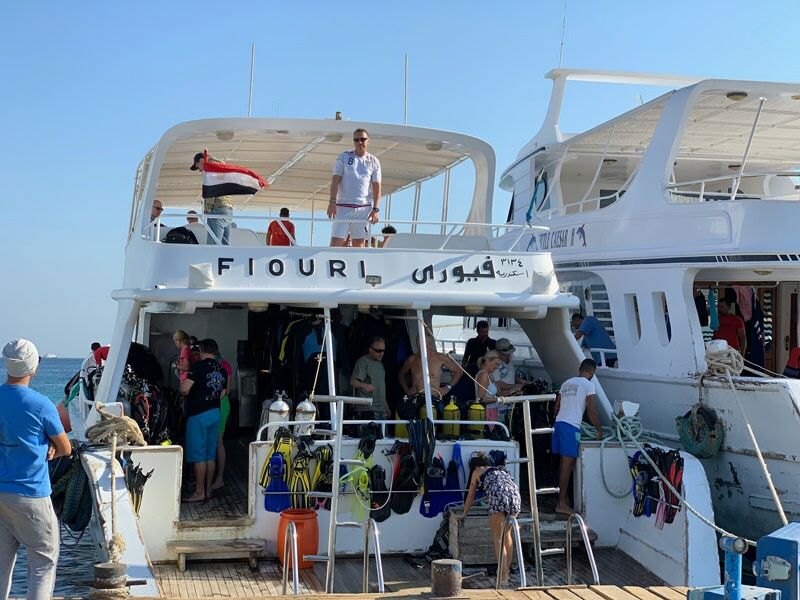 Reef Abu Nuhas which can be reached during special daily diving trip offers to you amazing dives on the wrecks: Carnatic, Ghiannis D, Kimon M, Chrisoula K.
Breathtaking coral gardens such as Shaab Sabina, Gotta Abu Ramada East, Poseidon, Shaab El Erg. Coral walls of Police Station, Erg Somaya, Fandira, Hamda, Shaab Pinky will keep you busy for complete dive. There are shallow dives sites like Torfa Ben El Gebel, Erg Sabina, Turtle Bay, Marsa Abu Galawa, Sakhwa Abu Galawa and much more, which have good visibility, an interesting reef life and are perfect to learn scuba diving or enhance your diving skills. However, for the experienced divers, there are plenty of different options to get experience during more challenging dives next to drop-offs, variety of depth, currents and landscape: Shaab Rur Umm Gamar, Carless reef, Abu Hashish, Umm Gamar - just few of those. Scuba Diving in Red Sea Hurghada is great for underwater photography because of the good visibility, beautiful wrecks, reefs with amazing flora and fauna full of bright colors will help you to make beautiful underwater shots. What can we see under the water? What if we rephrase this question to: what can see us under the water? The Red Sea is full of amazing creatures: turtles, eagle rays, dolphins and sharks. Is it possible to meet them under the water? Answer is definitely yes. To have such an encounter is not straight forward depends on the area, they can be almost anywhere. To increase our chances to meet with them can be done in only one way: proper buoyancy, slow moves, calm breathing, respect their space, helping them trust you. In this way they get curious, they come closer on their own will, they feel safe and have no reasons to escape. They just live their life and we have a great opportunity to witness their way of living - what can be more magical than that. Learn their language and behaviour, stay invisible for them, be their guest. The variety of the dive sites in Hurghada gives you opportunity to explore them in different ways: drift dives, wreck dives, night dives, deep dives, drift-pickup dives, giving you a chance to change your focus and widen your knowledge about this places. Each dive becomes unique. You will have an opportunity to enhance your confidence and knowledge in diving, to explore and discover again and again. The daily scuba diving trip on the boat with beautiful view, will make your day complete and unforgettable. Standard program of a daily diving trip starts at 8:30 am, with two dives during the day. Navigating to the first dive site in the morning will take from 50 minutes to 2 hours, you will have time to relax on the sun, have your morning coffee and discuss the plan for the dive. After the dive you will have time to relax on the sun deck while having your lunch. After sunbathing and relaxing on board, we will discuss our planning for the second dive, where we will arrive shortly. 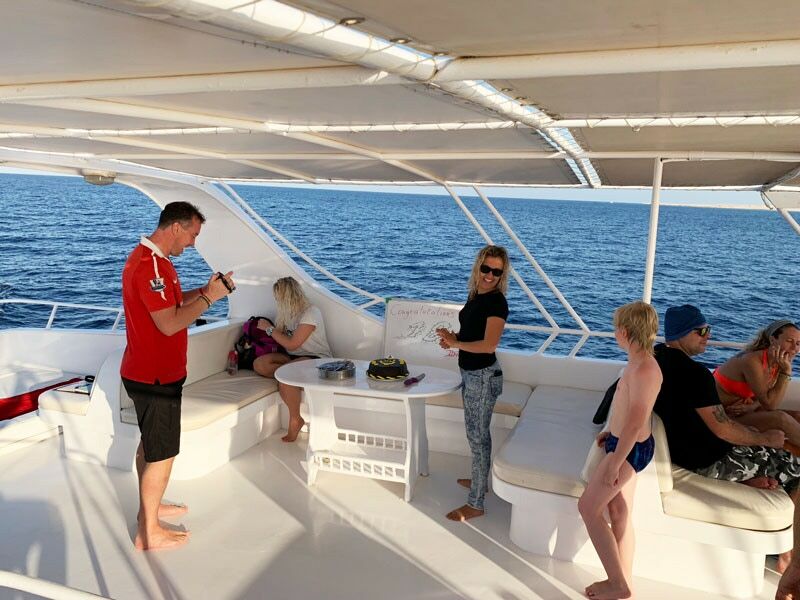 After the second dive you will have enough time to enjoy the beautiful view of the Red Sea, sharing and discussing most memorable moments of the day, while we will navigate back to the harbour. We will be back to the diving center around 4 pm, which gives you enough time to relax and enjoy your time exploring the evening life of Hurghada. The Red Sea area is well looked after, thanks to the Hurghada Environmental Protection and Conservation Association (HEPCA) for that. They have installed a boat mooring system to protect the reefs and wrecks from boat anchors. • Access to diving areas is restricted to designated points only; it reduces damage to reef areas. Each diver and snorkeler can help to protect and contribute to sustainable aquatic Red Sea tourism by acting with plain common sense on a diving or snorkelling trip. It’s in everyone’s interest to preserve the life of the Red Sea, enabling all divers and snorkelers to appreciate the beauty and grace of the flora and fauna for now and for many years to come. If you are planning an upcoming dive trip or travelling to Hurghada, it is a really good idea to invest in travel insurance for scuba diving. I recommend DAN diving insurance as they offer worldwide coverage and focus on providing scuba divers a quality insurance and medical assistance service. DAN was founded in 1983 and became the largest organisation in the world promoting diving safety, with over 400,000 members. 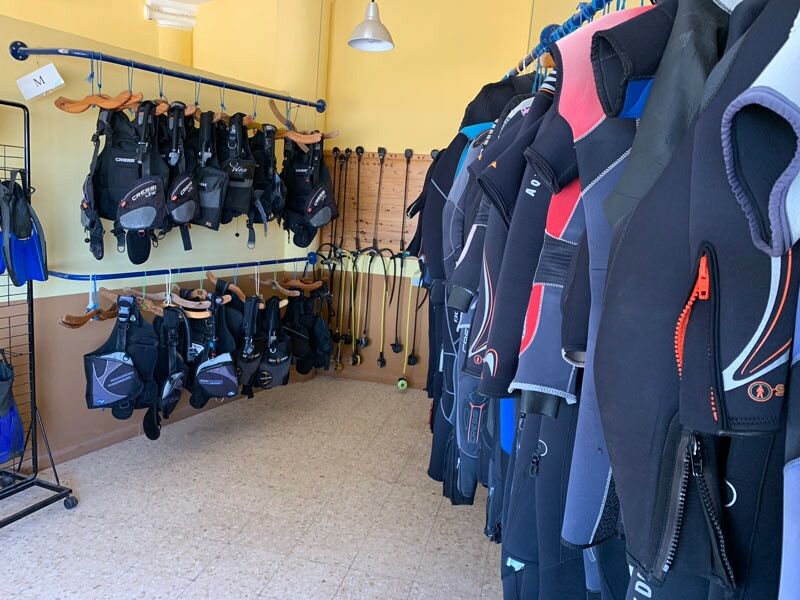 There are different offers available, from sport member to pro member and family packages, you can choose one of them depending from how often you dive and if it is fun diving, courses or professional diving. If you know already which insurance you would like to have, or would like to renew your diving/pro insurance membership, please click here to start the renewal process. If you would like to have more information about available options or you need help to choose membership which suits your needs, please use the contact form at the top of the page. and later on you can book your insurance package following the direct link. • At least one audible emergency surface signalling device (whistle, etc.). If you have a new set of diving equipment do not worry we will go through it together, adjust and practice so you will feel comfortable with it. If you do not have your personal set of equipment, it is also not a problem, you can rent complete set in the diving center, contact me please in advance if you have any special requests. 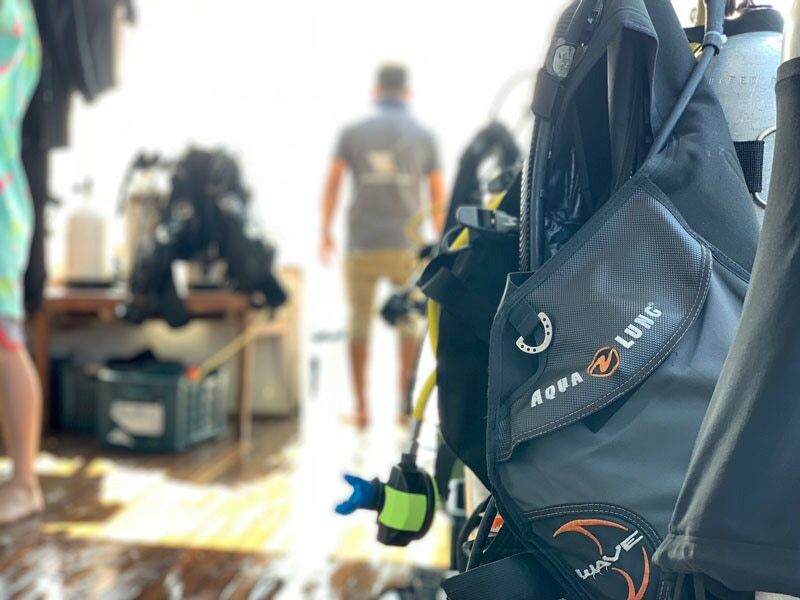 If you are looking for the option to buy your own diving equipment, here I could also assist you with that: tips, recommendations, best offers, most reliable brands like Aqualung, Apeks etc are available to choose from. Professional maintenance of your diving equipment is also available by authorised service center. What courses are available during your stay? During your stay you have always options how to spend your vacation time: you can follow daily diving program or enroll in additional training following diving course or dive specialty which can widen your experience and knowledge in diving, helping you to enjoy diving even more. Buoyancy/ breathing tecniques/fin kicking workshops for different diver levels are available, giving you flexibility during your stay. Below you will find the most popular PADI courses and specialties that divers choose from while diving here in Hurghada Red Sea Egypt. Just check out the courses section on this website, there you will find more details about some of the courses which are available, contact me if you have questions or are interested in a course which is not mentioned there. Diving is fun, specially when everything is proper organised including paperwork. • Diving certifications, please do not forget to bring with you all your diving certifications as proof of your training level. • Dive logbook to register your dives. Your dive logbook will be also used as proof of your diving experience. If you will decide during your stay to follow one of the diving courses, keep in mind some of them require certain experience in diving and minimum amount of dives as a prerequisite to start the course. For that reason please take your dive logbook with you. Please download a medical statement to be familiar with conditions and questions to evaluate your fitness for diving. If you have any doubts or you have any questions followed by “YES” answer, please see a physician to get a medical approval, if this is your case, make sure you bring your medical approval with you. 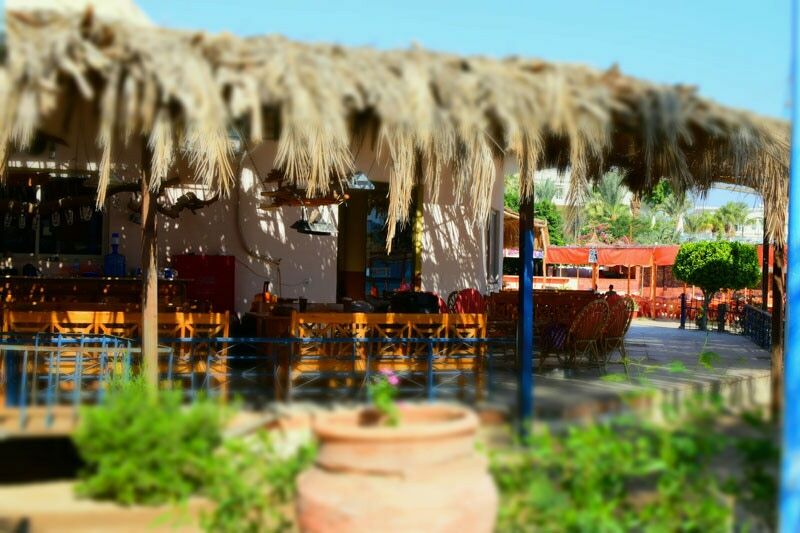 You have many different options to make your stay in Hurghada comfortable. If you are coming with family or a group of friends, or staying for a longer period - you can consider the option of renting the flat instead of booking the hotel. This gives you more flexibility during your vacation. There are also many hotels in Hurghada to choose from, let me know please your preferences and I will help you to find the best option to suit your needs. Transfers to and from the airport are also available on request. Recommendations and tips on where to go and what to do in the evenings, or during your days without diving, nice restaurants with oriental food, social gatherings and much more. Contact me using the form above and we can discuss your preferences and needs. Eat, sleep, scuba dive and repeat - that is mainly what diving safari is about. Diving safari in the Red Sea is a different experience, being away in the sea for a week, accessing the dive sites which are not reachable on a daily bases. There are many different destinations to visit on this way, with different departure points, many of them starting and finishing in Hurghada. Long distances between the dive sites are normally covered by navigation at night. Depending on the trip it is between 3 and 4(where night dive is allowed) dives a day. For these kinds of trips you need to be an experienced diver, certain level of the certification and amount of dives are required. The high season for diving safari is between March-May and September-November, for these periods most of the time you need to book your safari in advance to have a wider range of trips available. If you would like to know which dates are available for already scheduled safari trips, or if you are a group of divers or a dive club, we could organise for you customised trips according to your preferences and interests - just contact me for more details.